Contact Monroe County, Florida Car Accident Attorney Gerson & Schwartz, P.A. Key West is part of Monroe County, where there were a total of 1,262 car accidents in the year 2011 as reported by the Florida traffic crash facts. During this same year, there were 19 deaths in car accidents in Monroe County including three deaths involving commercial motor vehicles. Three bicycle riders and six pedestrians lost their lives in Monroe, and 165 motorcycle injuries occurred over the course of the year. US 1 is the only road available to get from Miami, Florida to Key West. This stretch of highway has been notorious as one of the most dangerous roads in the state of Florida. When an accident occurs in the area, it is important to determine the cause, as a driver who is negligent or careless can become legally responsible for compensating accident victims who suffer serious injuries or surviving family members of those killed in motor-vehicle collisions. Unfortunately, data has shown that many of the Key West traffic accidents involve bad behavior on the part of drivers. For example, a total of 84 of the accidents in the Key West area in 2011 reportedly involved the use of alcohol. An experienced Key West accident lawyer at Gerson & Schwartz, P.A. can help with your case. If a driver is drunk or if a motorist does other dangerous things like drive while distracted or while so tired he is dozing off, then the negligent driver can and should be held responsible by accident victims. You’ll need to take action in a local court, so it is helpful to have legal representation by an attorney in the area. Florida is the home of many famous cities that are popular tourist attractions and that provide a haven for retirees looking to take advantage of the warm weather and the favorable tax environment. While Florida is a great place to live and visit, it can also be a dangerous place for drivers as there were a total of 227,998 car accidents on the roads of the state in 2011. These car wrecks caused 181,654 people to suffer injuries and 2,400 people to lose their lives in 2011 alone, making Florida among the three deadliest states in the nation in which to drive. One of the cities in Florida that is beloved among visitors and residents is Key West. Key West is actually an island that is located in the Straits of Florida at the most southern point of the Florida Keys. Located only around 90 miles from Cuba, Key West is four miles long and two miles wide. Famous visitors to the area include Ernest Hemingway, Tennessee Williams and even U.S. presidents including Harry Truman and Franklin D. Roosevelt. Today, there are still plenty of tourists coming to Key West, and both visitors and residents alike need to be careful when driving in the area to avoid becoming involved in a car accident. 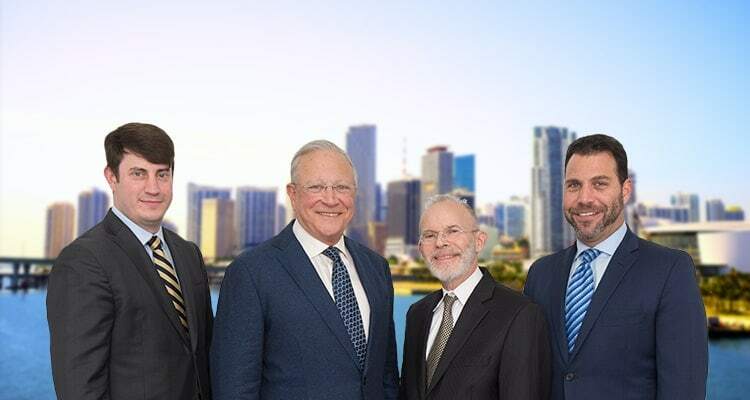 Unfortunately, there are some bad drivers on the roads and if you or a loved one is hurt in a traffic collision, an experienced Key West car accident lawyer at Gerson & Schwartz, P.A. can help. Of the wrecks that happened in Monroe County, a total of 483 of the accidents happened in the Key West area. Key West consists of both Old Town, which is the Key West Historical District with the majority of tourist destinations, as well as New Town with shopping centers, residential neighborhoods and retail malls. The accidents happened throughout both Old Town and New Town and involved both tourists and those who live in the neighborhoods of Key West.